In an interview with Famitsu, translated by Gematsu, Tabata addresses the issue. He’s not wrong. In the demo alone, the guys all throw up their alpha male personas and even the gloomy Noctis cracks a smile in the presence of Cidney. “Guest characters” have long been a staple of Final Fantasy in which a character important to the plot will temporarily join the party and sometimes even act beyond the player’s control. 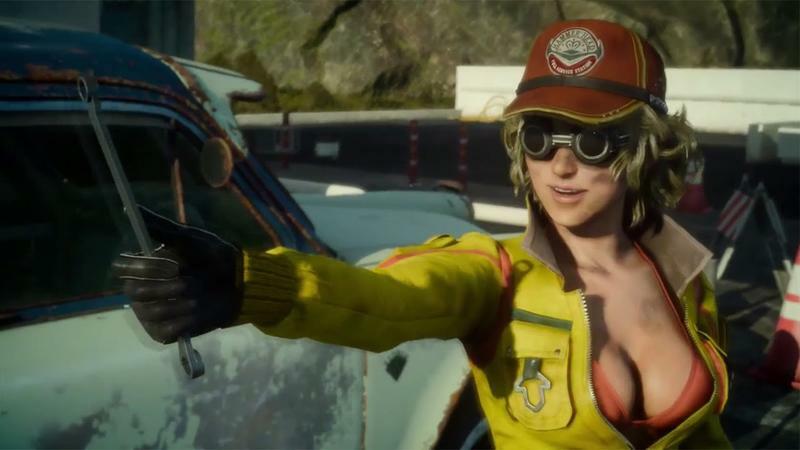 If Tabata wants to explore what men are like when women are not around, any good scientist will tell him that he needs a control for his experiment, and these guests characters will probably provide that. Speaking of excellent strong female guest characters, anybody remember Agrias? The interview also asks about the game’s new combat system. “The battle system from the demo is about 50 percent complete. I want to level-headedly respond to requests for improvement. The full retail version will have things like magic and co-op chains, which I feel will really freshen up how players approach combat. Famitsu also said that 70 percent of those who responded to a poll were “satisfied” or “very satisfied” with the demo. Final Fantasy XV will launch for the PlayStation 4 and Xbox One, but no date has been set yet.